Taking his lead from his subject, Gershom Scholem––the 20th century thinker who cracked open Jewish theology and history with a radical reading of Kabbalah––Prochnik, a convert to Judaism, combines biography and memoir to counter our contemporary political crisis with a reimagining of the future of Israel. George Prochnik has produced a book of remarkable erudition and emotional depth that plays the life and thinking of Gershom Scholem against his own. This is at once a compelling intellectual biography of the formidable Scholem and a piercing personal memoir. The two threads together tell a story of Jews in Israel in a way too often overlooked: not in sweeping terms of faith and nations and history, but in the more intimate terms of what people do to make their way in the world, and what they tell each other and themselves as they do it. 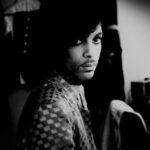 To describe it as part biography and part memoir is to miss the point; it is instead a hunt through the crevices of one life in search of clues that might unlock the mysteries — intellectual, religious, political and psychological — of another ... Most of the first two-thirds of Stranger in a Strange Land is taken up by an often painfully detailed description of Scholem’s life and the slow birth of his religious and political principles — more cogent versions of which can be found elsewhere. Still, it serves a purpose here, which is to make readers fluent in the language Prochnik will use to describe his own unfolding religious and political drama ... In the end, Prochnik seems to experience release from the Venn diagram of his personal and political entanglements. Indeed, the last 20 pages beam with light — a radiant justification of the preceding darkness that comes close to, well, perfect. The genius of George Prochnik, in his new book Stranger in a Strange Land, is that he surfaces this subtext and makes it his explicit subject. The result is an immersive, passionate work that is really two books spliced together ... Sections of these two tales alternate, creating a meaningful counterpoint, for they are really variations on the same story ... Prochnik performs impressive feats of concise elucidation, taking the reader through Scholem’s life, times, and work in under 500 pages ... 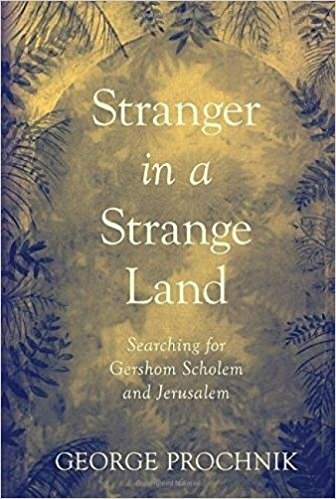 Still, it is impossible to fully capture Scholem’s significance in a single book for a lay reader, and anyone who comes to Stranger in a Strange Land without some prior knowledge of Judaism and Jewish history is likely to find it challenging ... This book is worthy of the rich, ambivalent, complex, and compelling stories it has to tell; more than a work of history, it is a document of the living spirit of Judaism. What did you think of Stranger in a Strange Land?